Certainly, you build a powerful gaming PC for two reasons:- To get more fps and to make your game look beautiful. The second one, of course, can only be achieved if you have a monitor that makes your game look beautiful by displaying true colours and by supporting the desired resolution. I used to think that it really doesn’t matter which monitor you have until when I bought my first gaming monitor that supported 1080p resolution and had 1ms of response time. Then I started to buy more and more displays and gradually started to test dual as well as triple monitors together. I tried from IPS to TN panels ranging from 22inch to 34inch displays having different features and technology. I soon became much experienced in this category and there is more to learn because technology always keeps evolving but what I have learned in this journey, I want to share it with you so, that you can avoid all those mistakes I did. 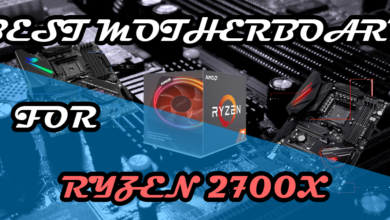 I have a short guide on How to buy a gaming monitor from which you can get the basic idea of how you can choose a decent monitor based on your requirements and you must read that along with this guide so that you acquire the knowledge which is necessary to get the most out of your money. Without a further explanation, I will now start to list out the best gaming monitors in different categories and budgets. When it comes to fast response gaming, you can only achieve that with a high refresh rate monitor. And for that, there are plenty of options to choose from. 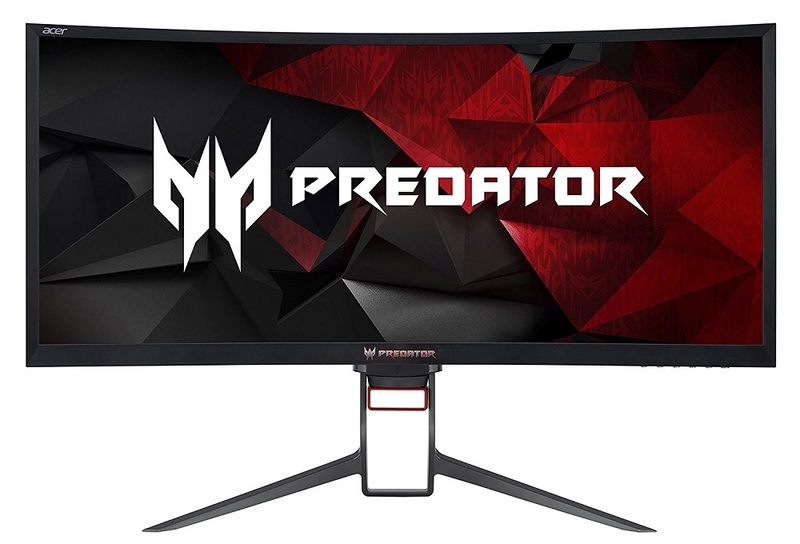 The best 24-inch 144Hz monitor which you can get is the Acer Predator XB241H which features 144Hz refresh rate, 1ms Response time, 1080p resolution and Nvidia G-SYNC. This is not a cheap monitor you can get for around $200 because it packs some high-end features and as this category is specially made for best 144hz monitors, I will be listing out the best budget 144hz monitor later in this post. This monitor is from Acer and brings a beautiful design both in the display and stand. As you can see, it has a black and red themed stand which is also adjustable, it will help you increase or decrease the height according to your comfort. The panel is, of course, TN panel and that’s why you will be getting 1ms Response time which is the fastest you can get today. Moreover, the G-SYNC technology is what you would need in order to eliminate those tearing in gameplay when the animation is going on. But there is one more added feature to it which is overclocking. As this monitor costs above $300, you will also have the capability to overclock it above 144Hz up to 180Hz. But, do you have the horsepower to push the fps in games up to 180? As some of the games like CSGO and Overwatch are capable of providing that much fps but you also need to have a good mid-high end rig for this. 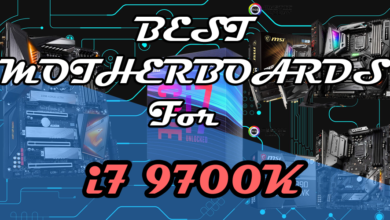 So, go and check out the $1000 Gaming PC build which you can benefit from. In case if you want a larger monitor i.e., a 27-inch monitor with 144Hz refresh rate at 1080p, then I recommend going with the ViewSonic XG2701 which is a fantastic monitor for $300 having AMD Free-SYNC. 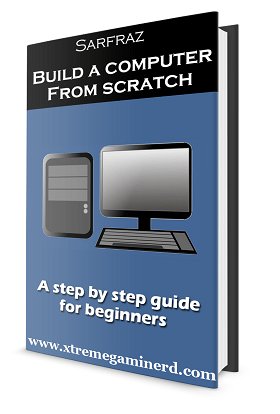 For using this technology you need to have an AMD graphics card. The only limitation of this monitor is that it can’t be overclocked to 180Hz. 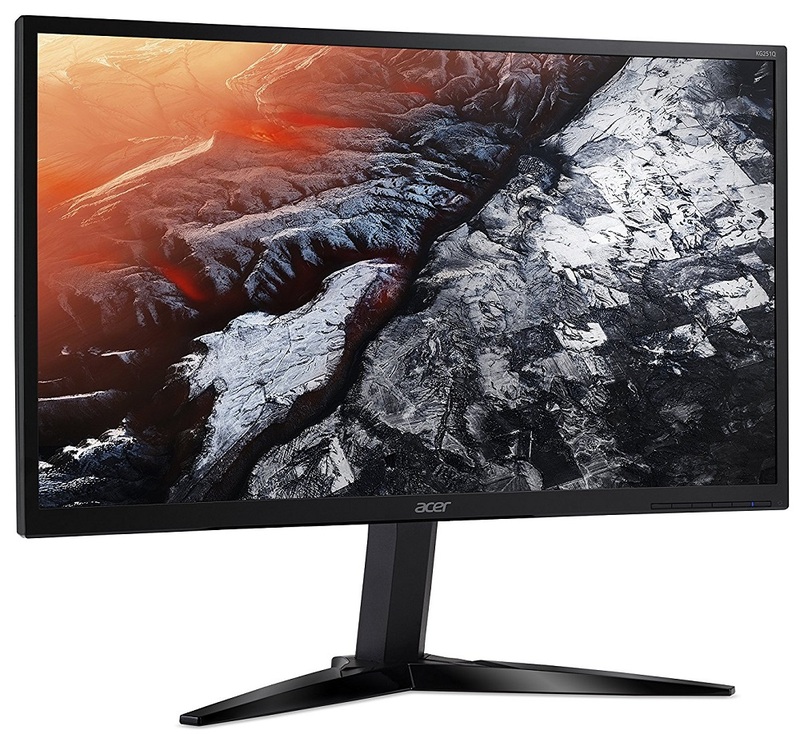 Another great monitor from Acer which is having a 1440p resolution on a 27-inch display. This is much similar to the XB241H because of many specs. But there are quite different specs in this one. It has higher resolution which means that you are going to enjoy more pixels in your game and with a 27-inch display, you will see your games bigger on the screen which is more immersive. As a 27-inch display user myself, I don’t like going below it unless somebody prefers 24-inch display. On a 27-inch display, 1440p suits the best especially if the display quality is good. Now, this monitor has a TN panel, the picture quality will not be great as that of an IPS panel but because it has 1ms response time for fast-paced gaming, you have to make a sacrifice for that. As for its refresh rate, the default is 144Hz but you can overclock it up to 165Hz. So, it’s again one more pro feature which will help you make gameplay even smoother. But be sure to have a good rig which can push the fps up to more than 150. A Rig with a GTX 1080 should do the job well. The monitor has Red/Black stand which is adjustable and very stable although it takes a lot of space just like the XB241H. So, if you have a big desk, that will be better or you can just mount it on the wall. You can tilt or swivel it just like the XB241H. Go with this one if you like bigger displays and high resolution. There is another version of this monitor which has IPS panel and have the same refresh rate. But the response time is 4ms. For better picture quality, this edition is a great choice although it will cost you much more but if you don’t have a limitation on your budget and want to do one-time investment, then don’t hesitate to go with it. Acer Predator XB271HU bmiprz. 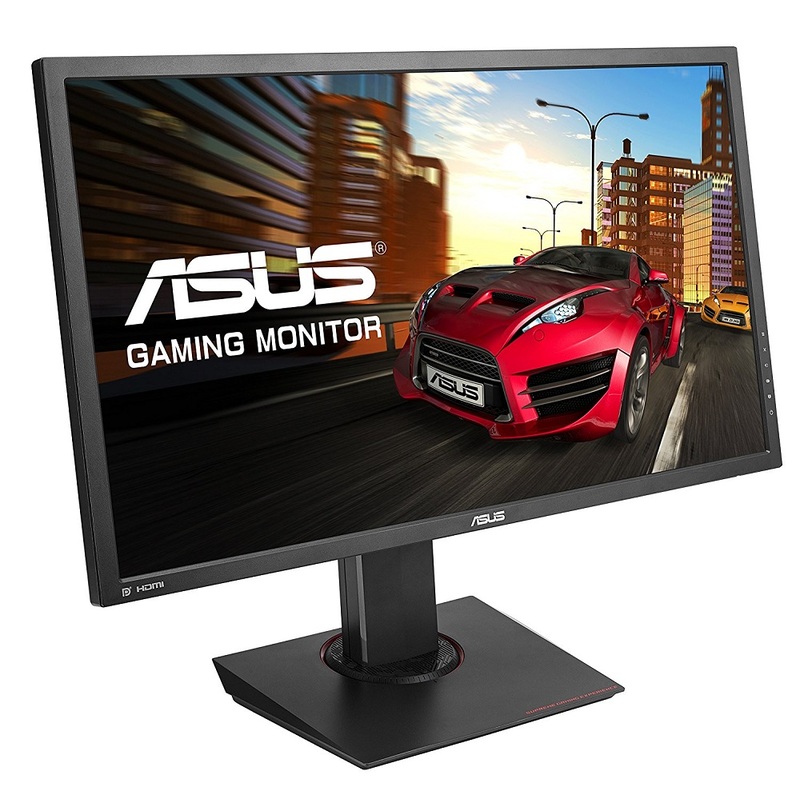 Asus MG248Q is a fantastic 144Hz monitor for those who are a little tight on budget. This monitor some good features like 1ms Response time, 144Hz refresh rate, 1080p resolution, AMD FreeSync, inbuilt speakers etc. This one is also a TN panel, so the colour reproduction will not be great but it won’t be bad either. This monitor costs around $250 which is around $100 cheaper than the XB241H because there are some limitations. First of all, it doesn’t have G-SYNC which means you are not going to benefit from a Nvidia graphics card. Rather, it has FreeSync which is specially made for AMD graphics card and you can take advantage of this technology to remove the tear in games. Secondly, it can’t be overclocked like XB241H but if you just need a 144Hz display monitor, then I find no problem if you choose this one taking the budget into consideration. The design of the body of this monitor is beautiful especially from the back and its stand base doesn’t require much space on the desk. The monitor is also wall mountable and height adjustable. Moreover, you will have features like Tilt and Swivel which are present in most of the best gaming monitors. This is the best monitor you can get right now. Though it’s very expensive costing more than $1100 but it’s the ultimate experience for gaming. 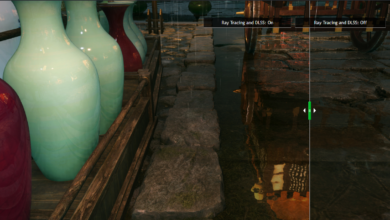 As an ultra-wide monitor user, I don’t find enjoyment playing games like PUBG, Witcher 3, GTA V and other open world games on a 16:9 ratio monitor. Especially when the game runs completely smooth without any fps drops. This monitor has a resolution of 3440×1440 pixels with 100Hz Refresh rate. As the monitor has an IPS panel having 100% sRGB, the picture quality of this monitor is far better than any TN panel. Secondly, as it supports 100Hz refresh rate, if you have a high-end rig, then you can easily push these pixels over 100fps. Graphics cards like GTX 1080 or 1080 Ti will do the job. 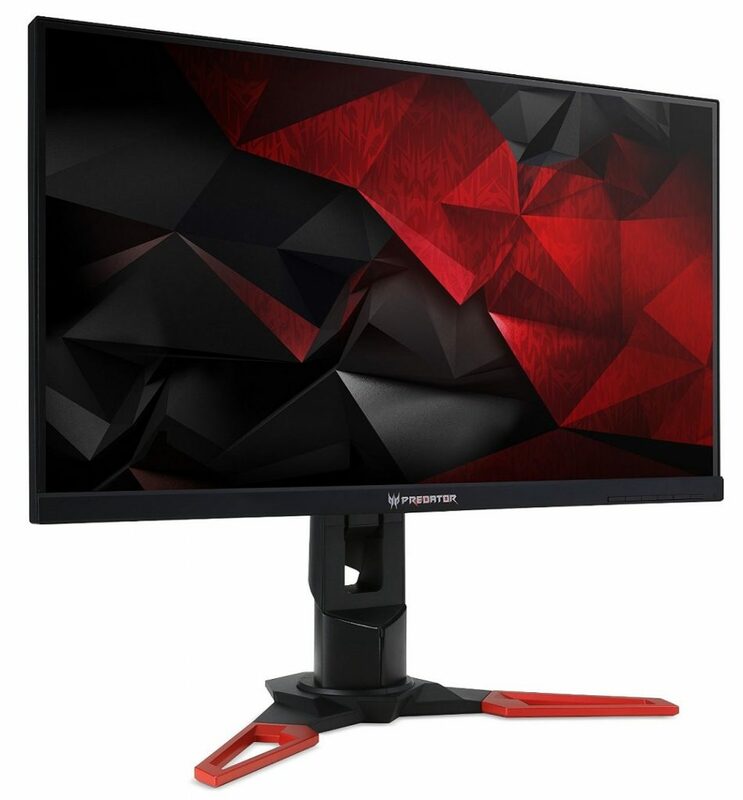 There is a competitor of this monitor which is Acer predator X34 which is a $200 cheaper but I don’t recommend that because of a lot of complaints of the display not working and the same happened to me when I bought one. So, better not to take any headache. This monitor has Nvidia G-SYNC technology also that will remove all the tearing in games. As most of the high-end graphics cards are from Nvidia, it’s very probable that you will be going to benefit from this technology. I recommend this monitor to anyone who wants beautiful graphics and immersive gaming. Although, it’s not a suitable monitor for fast-paced games like CSGO. You won’t be able to play them on it properly and will face some delay as the Response Time of this monitor is 1ms. It will also acquire a lot of space on your desk, so make sure that your desk is big enough or you can wall mount it for saving a lot of space. The monitor also has some futuristic design and projects Asus Logo at its bottom. There are a number of features that you can take advantage of from the main menu such as Gamer Visual and Crosshair. For I/O ports, it has 4x USB 3.0, HDMI, DP and even audio jack so that you can hook up your headphone directly into it without going to your main system. These features are present in only high-end monitors now and are very handy to connect additional peripherals like keyboard and mouse. Well, it’s not impossible to have an ultimate 144hz ultra-wide monitor. Acer has one great monitor in its Predator series which has packed several features with it. This Z35P is a perfect example of high-resolution gaming at the high refresh rate. The refresh rate can be overclocked from 100Hz to 144Hz and would require a powerful graphics card to reach that mark. Surely, it’s not for everyone but for enthusiasts who have power high-end gaming PC having at least a GTX 1080 Ti. The Z35P has G-SYNC technology for eliminating tearing. Combined with a GTX 1080 Ti, the game will be much smoother if the fps goes above 100 which is possible at a resolution of 3440×1440 pixels because I play on this resolution with GTX 1080 Ti. You can play games like CSGO, Battlefield, Overwatch on it without any problem. But the only thing it’s lacking is fast response time. It has a 4ms response time which is slower than most of the TN panels. But as it is a VA panel, the colour reproduction and the picture quality is better than the TN panels but lower than the IPS panels. So, this monitor is somewhere near to the best ideal monitor. I recommend this only if you have the urge to play on 144Hz, otherwise, the Asus PG348Q is a perfect monitor for gaming. But tastes matter. We have seen a lot of ultra wide monitors which were having 144Hz refresh rate but at a lower resolution of 2560x1080p making them poor in picture quality because of TN panel along with the lower resolution. Acer has done the job by providing with a superb monitor that has the best possible features for $1000. So, here is the ideal budget ultra-wide gaming monitor that costs much less than the above-mentioned ultra-wides. Its price is under $600 but the features are that of premium gaming monitors. With IPS panel, it has one of the best picture quality that you can enjoy and with a perfect 144Hz refresh rate, you will enjoy the smoothness of the game. The monitor is also curved giving an immersive experience. Combined with AMD FreeSync technology, you can take full advantage of your AMD graphics card for tear-free gaming. 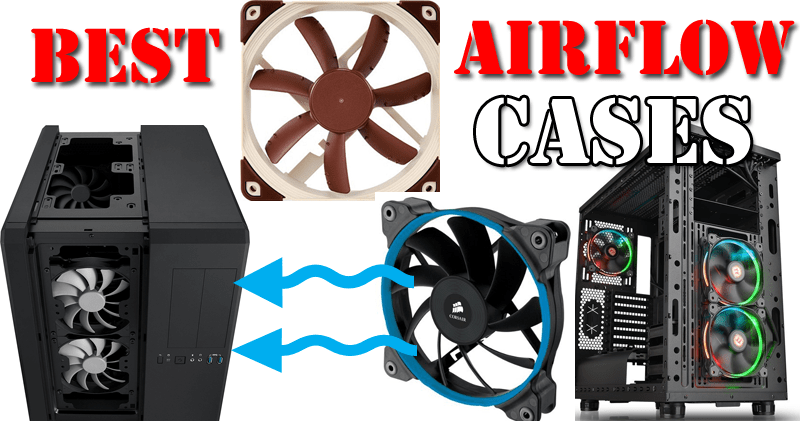 Now, you may be thinking that it might require a very high-end gaming PC as well, right? But in fact, it doesn’t require a high-end graphics card like GTX 1080 Ti as the resolution of this monitor is 2560x1080p which is lower than the 3440x1440p monitors mentioned above. Although, you will still require a graphics card like GTX 1070 at the minimum, but you can at least have fun on ultra-wide display without spending a thousand bucks on it. The design of this monitor is also decent. It doesn’t look too much futuristic but looks simple and elegant. The base won’t require that much space like the above mentioned ultra-wide monitors and it can also be wall mounted. It’s fully height adjustable, tiltable and can be swivelled. It also has multiple I/O ports like 2x USB 3.0 ports, 2x HDMI ports, 2x DP port and 1x 3.5mm Headphone jack. This monitor is perfect for immersive gaming, fast-paced gaming as well as productivity which is very hard to find on a single monitor. 4K gaming is still not the norm and may take time because 3840×2160 is a lot of pixels and you need a very high-end graphics card to support that resolution for playing games. Although, one may prefer 60fps over 144fps on ultra settings and it’s not impossible to get 60fps on 4K ultra or at least high settings. This is the best monitor for 4K gaming because it has much less price than the other vendors provide having same specs. With IPS panel, the picture quality will be flawless. You will have no problem in looking at the display from different angles and sides. As it is a 27-inch monitor, you will be clearly able to enjoy the detailed gameplay. I believe going below 27-inches for a 4K monitor is worthless because the real benefit is in a moderately or big-sized monitor. This panel is also equipped with Nvidia G-SYNC because of which many monitors like Acer Predator XB271HK cost much more than the Free-Sync version monitors. But this monitor costs under $600 as compared to the Acer Predator XB271HK which costs close to $800. This monitor has a normal refresh rate of 60Hz and you don’t need more than that because even a GTX 1080 Ti won’t be able to get you 100 fps in most of the graphical intensive titles. With 4ms response time, it’s also ideal for gaming although not good for esports games at all. Consider this only if you want a detailed graphical representation of open world games and make sure you have enough RAM also(At least 16GB). All other features like wall mounting, adjustable stand and multiple I/O ports are present on this monitor. Now, if you don’t want 4ms response time then there is a great monitor which costs similar to this one and also provides One inch bigger display. That is Acer Predators XB281HK which has a TN panel and 1ms response time. It still won’t compete with high refresh rate monitors but it will be smoother in gaming as compared to the AGON. 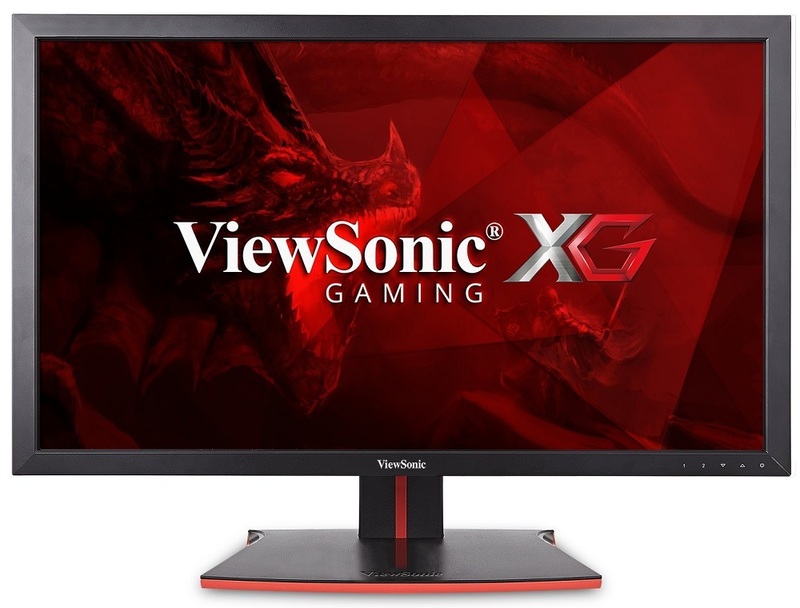 ViewSonic XG2700 monitor provides a 27-Inch Display with 3840×2160 pixel resolution along with FreeSync technology that is specially made for AMD graphics cards. 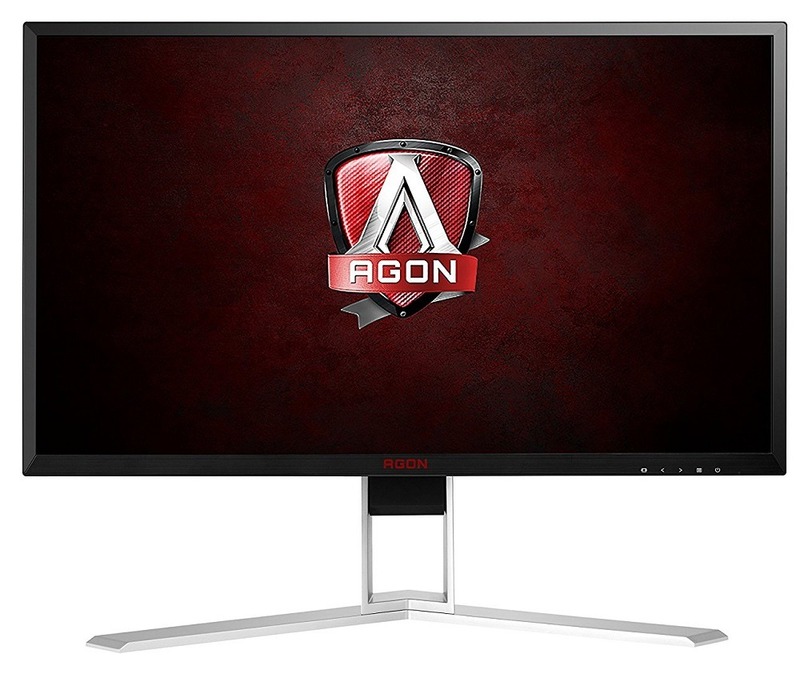 Generally, monitors with G-SYNC are much more expensive than the FreeSync counterparts and this one is also a little bit cheaper although, there isn’t much difference when compared to the AGON AG271UG. This monitor is beneficial to those who have AMD graphics card and probably who have put at least two Graphics cards in CrossfireX because there is no so high-end graphics card available from AMD like the GTX 1080 Ti. An RX Vega 64 8gb should be able to provide a decent gaming experience but not every game can run on max settings. Therefore, it’s preferable to use CrossfireX if you get this monitor. It has a flat base which is very stable and the monitor is also height adjustable. The stand doesn’t take a lot of space on the desk, unlike the Acer monitors which I have listed above. The monitor has several additional features like Headphone Hook at the top of the stand where you can hang your headphone. This feature is present in most of the high-end ultra-wide monitors and is very useful if you have a small desk. There is a cable management loop at the back of the stand to route all your cables going from the monitor to your CPU and the monitor has been equipped with too many USB 3.0 ports. It has 4x USB 3.0 ports, 1x USB 2.0 port, 3x HDMI ports and other ports as well. You will not have to worry about connectivity with this monitor. It’s an all-rounder in these things. However, you can’t overclock this monitor and it has a refresh rate of 60Hz which is the most common thing but it would have been unnecessary to make it like a 100Hz monitor as AMD graphics card right now are not so powerful to provide that much fps at 4K along with FreeSync. This is a well-balanced $550 4K gaming monitor which I definitely recommend. If you want a TN panel having 1ms response time and Free-SYNC then, there is an alternative to this one. 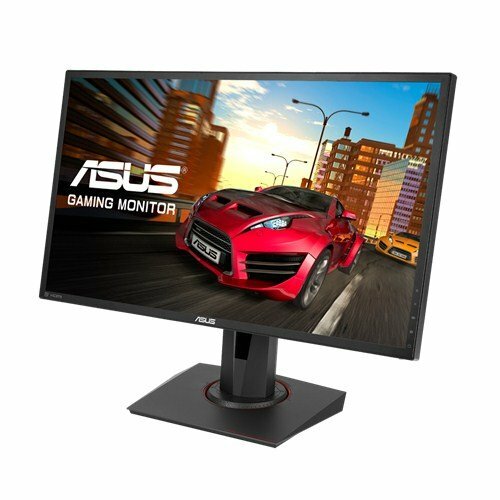 It’s the ASUS MG28UQ which is a 28-inch monitor having all these features with an exception of fast response time and a lower quality TN panel. This monitor is also much cheaper than the ViewSonic XG2700 and it’s the best budget 4K gaming monitor. If you have a limited budget for buying a monitor then I don’t think it’s wise to spend over $200 for a monitor rather than it’s better to spend on the gaming RIG so that you can push the fps but in the opposite you cannot enjoy high-refresh rate of a monitor if you rig cannot support that much. There are plenty of options to choose from when it comes to budget gaming monitors. Among them, I find the HP Pavilion 22cwa the best option and the cheapest option. Of course, it’s not perfect because it’s cheap and there are some flaws but for a budget gaming PC, this should be perfect for enjoying games as the display is bezel-less and has an IPS display. The colours are sharp and you can view the screen from any angle and the colours won’t shift like in a TN panel. All this for under $100. There are currently several IPS monitors at 21.5-inch display but their prices are higher as compared to it but at a tight budget, one should save as much as possible because the experience will be almost the same in gaming when you will compare this one with other 21.5-inch IPS displays. The monitor features a standard 60Hz display with 7ms of response time which is slower than any other monitor which I mentioned above but picture quality covers every defect. This monitor is not meant for fast-paced gaming but more oriented towards the open world gaming like GTA V, PUBG etc. So, you can have 1080p resolution with good vibrant colours to enjoy the graphics. The material quality of this monitor is also good and it uses a unique stand which is stable to properly make the monitor stand. However, for input/output ports, there are only a few options. For display, there are only HDMI and VGA ports. You won’t have any DVI or DP ports as this is an entry-level monitor. Although, it’s fine because you won’t be playing on a 144hz monitor, so you don’t need a DVI or a DP port at all. This monitor is one of the most bought monitors among all and is still Amazon’s choice for best budget monitors. No doubt that Acer monitors have been listed in the post so many times because they produce really good monitors. Myself using the Acer XR341CK. This particular monitor has a display size of 24.5-inch at 1080p resolution. 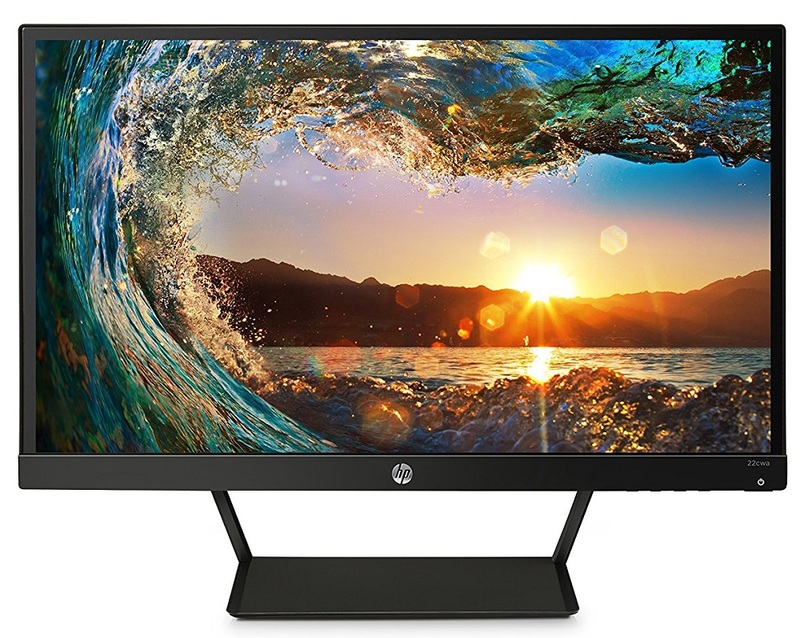 For under $150, I consider it to be the best budget monitor among all and recommend it if you have a flexible budget because this is the monitor which you should definitely get for a PC that costs from $500-$800. It has all the ideal features found on a gaming monitor. The screen size is big enough and uses a TN panel which has way better picture quality than most of the TN panels. The colour shifts aren’t that much noticeable and you won’t’ even feel that it is a TN panel. The second great thing that Acer did to this monitor is using very thin Bezels and it looks like an IPS display. It has 1ms of Response time which is fast enough for any game and can be used for playing open world games as well as fast-paced games. Another great thing added to this monitor is the AMD FreeSync which will provide you tear-less gaming experience if you have an AMD graphics card. Also, its refresh rate can be increased from 60Hz to 75Hz. At this price, it’s almost impossible to find a monitor like this with all these features. For I/O ports, it has 2x HDMI and 1x VGA ports. There are two 2W speakers also which you can use if you don’t have dedicated ones. The monitor is also wall mountable but there is one flaw which is the Fixed stand. You cannot tilt the monitor or adjust the height. But looking at all those good features it has been equipped with at a price less than $150, I don’t find any reason not to buy it. 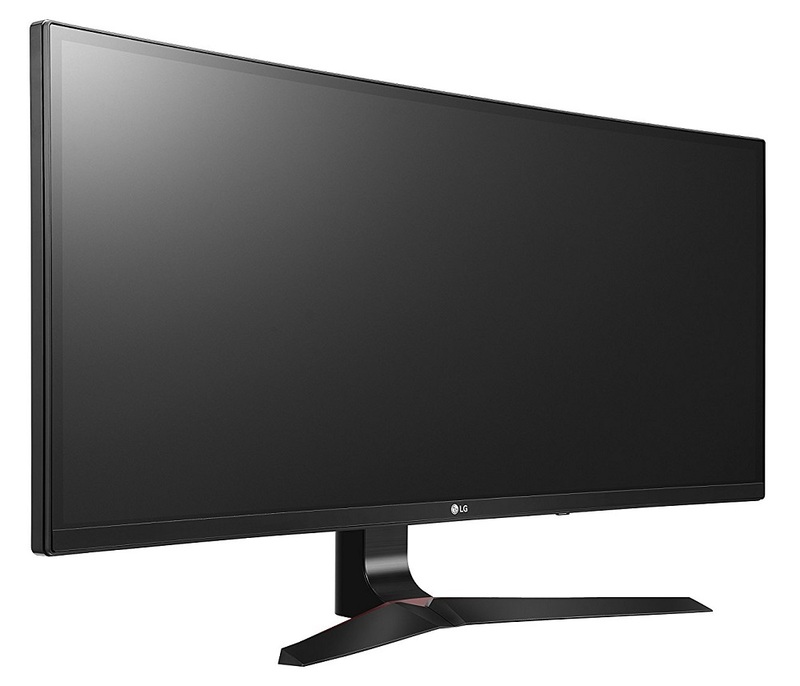 Currently, one of the highest refresh rate monitors you can get is 240Hz. There are a few companies who produced such high refresh monitors and they are not cheap at all but they aren’t expensive like the ultra wide monitors. Games like CSGO will definitely see the difference when a 144Hz display is compared to a 24Hz display. 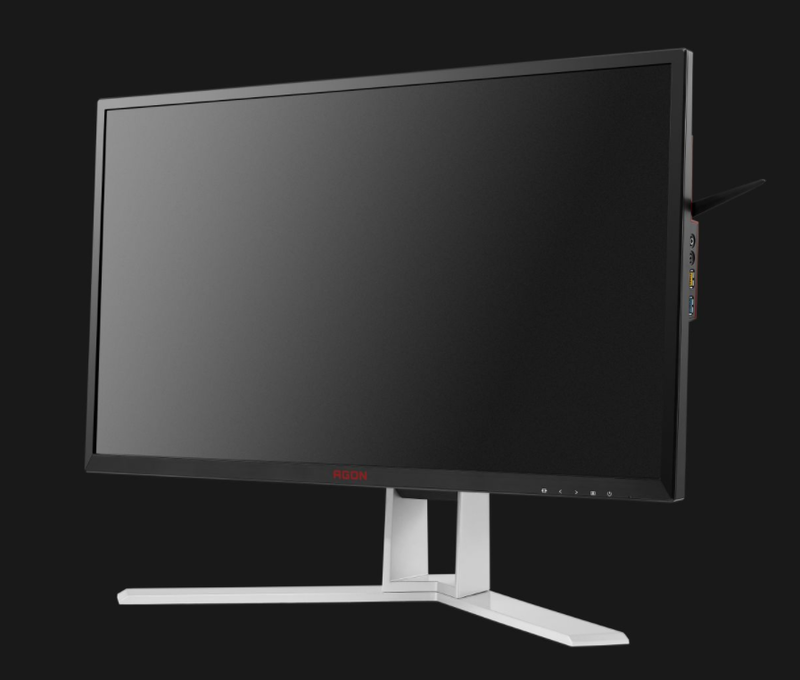 Though one might not need more than a 144Hz monitor but if one wants to get into competitive gaming seriously, then having a 240Hz display will make his experience smoother and perform better. There is a clear 100Hz difference between a 144Hz panel and a 240Hz panel and can be clearly noticed. So, the first and the best 240Hz display I recommend is the Asus ROG Swift PG248Q, which is also a monitor from the PG series. This series is the topmost high-end series for gaming monitors and the design of this monitor is also similar to the high-end monitors you have seen above from Asus. With 240Hz display, you will also get 1ms of response time and G-SYNC for tear-free gaming. You don’t want tearing and lag in fast-paced games and this will do the best job ever. So, consider this if you don’t want to compromise your experience and want an upper hand on your opponent. This monitor will require a very high-end gaming PC for sure as going above 200Hz cannot be done without a graphics card that has good specs. CSGO will still be able to run on 200+fps with a GTX 1060 6gb but other games may require GTX 1080 or higher. But in the end, I recommend 240Hz monitors only for CSGO because it’s the fastest shooter game in which you can actually spot the difference between a 144Hz panel and a 240Hz panel. This monitor has a superb body design at the back and projects an Asus logo on the bottom. It also comes with blue light filter and Asus Eye Care technology that will reduce strain on your eyes and you will be able to practice in your game for a long time. 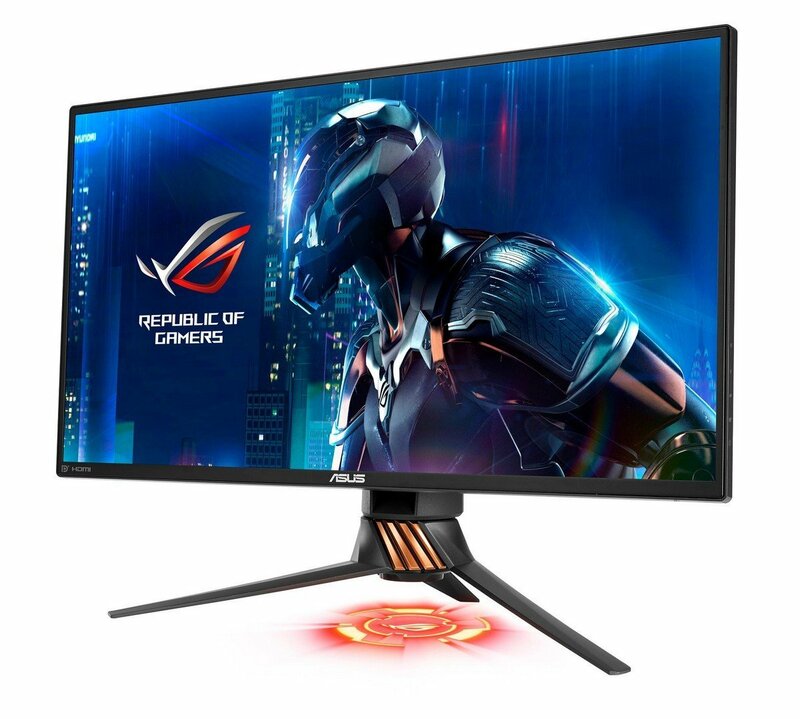 It will cost you around $550 which is half the price of the Asus PG348Q and still in the budget for those who are serious in competitive gaming. 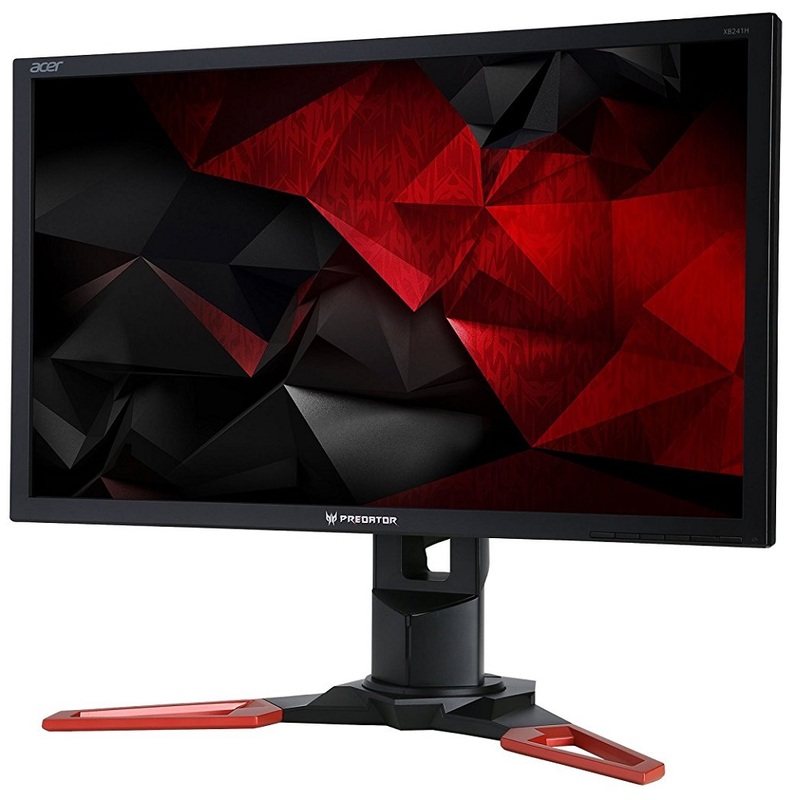 This is the best budget 240Hz monitor for gaming and the price is way below the PG258Q however, there are some differences but because this panel is 90% similar in specs to the PG258Q, I consider it to be the best budget 240Hz monitor for money and if you don’t want to spend >$500, then this can be yours for only $300 which is $150 cheaper than the Asus one. 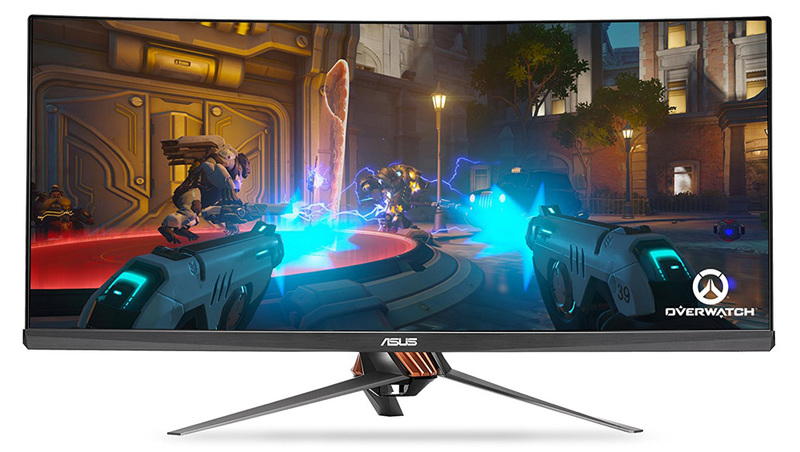 AOC monitors are good competitors of ASUS and Acer in monitors and it didn’t remain behind in fast-paced gaming and has brought this beastly monitor for the best price bringing in the competition in the market. With 240Hz TN panel and 1ms response time, it will have no lag or ghosting whatsoever. It features the same screen size of 24.5″ as that of Asus and with the same 1080p resolution. The difference is the SYNC technology. It comes with AMD FreeSync and will work flawlessly with any AMD graphics card. It can also work with any Nvidia card but to take advantage of the FreeSync and experience the tear-free gaming, you have to use an AMD graphics card. With 400CD/m2 brightness, you won’t feel any darkness in the game. As there are instances where you have to roam around in the dark, this will help you to see the environment clearly even though the feeling will remain the same. With this panel, you can play fast-paced games like CSGO, Overwatch, Battlefield as well as the AAA games. But it’s best suited for competitive games as they don’t require very high-end graphics card like 1080 Ti. As I said earlier CSGO can run on 200+fps with a GTX 1060 and frankly I wouldn’t recommend a 240Hz panel for an AAA title.